Google is putting plans in place to take on the big boys of the cable world, with the search giant speaking to a number of television companies to see if they would be interested in joining them in a paid-TV (ad)venture. This is according to the Wall Street Journal, which has played super-sleuth and tied all the Google TV rumours and rumblings together and come up with the idea that Google is to become a cable TV company. Its reasoning is pretty sound. It cites that Kansas in the US could be the first country to get Google Pay TV, because the infrastructure is already in place. The US city is part of the Google Fibre rollout, which is an initiative that is set to bring superfast web speeds to the US. Alongside offering speedy internet connections, it is thought it will bundle in television and phone services. When it comes to execs who can take the cable challenge on, Google already has one in place - Jeremy Stern, a former cable TV chairman. According to the WSJ, he has already started to charm the likes of Disney, Warner and the Discovery channel into offering Google television content. If the plans go through then Google could well be a cable TV provider by the early part of 2012 – as this is when Kansas gets the big switch on. 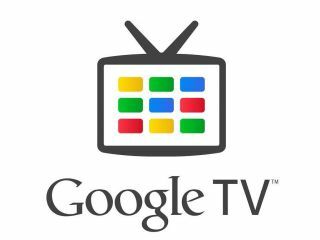 Even though Google TV has received lukewarm reviews, Google seems determined to reap the benefit of premium television streaming - which is a completely different beast to offering fractured web content through a TV. The fruits of this can already be seen in YouTube, though, where a number of channels were recently added to the site. Although it's on its way, the UK is still waiting for Google TV so it's unlikely that Virgin Media has anything to worry about for the time being - but it will be interesting to see just how the US reacts to having a web giant take control of their television content.